In this brand new 140-page report you will receive 120 charts– all unavailable elsewhere. 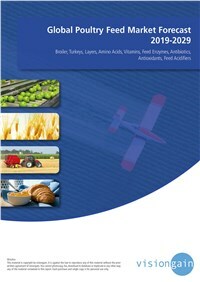 This report discusses factors that drive and restrain the global poultry feed market. This study is intended for anyone requiring commercial analyses for the poultry feed market. You find data, trends and predictions.